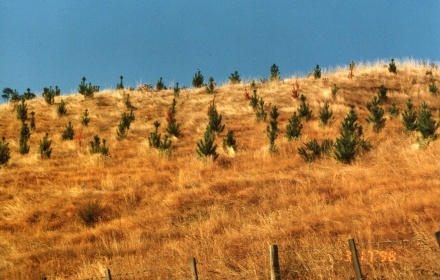 Pinehills Forest is located in the Turakina Valley 24km north of Hunterville which is on SH 1. The forest will be 16 years old in July 2013.Final thinning was completed during the winter of 2007. Three pruning operations have been undertaken in the forest to an average pruned tree height of 6.9metres. The partnerships capital of $1,708,500 has all been collected. the 201 unit holders in the Pinehills Forest Special Partnership each have a limited liability of $8,500. Pinehills 211 hectare forest is independently valued each year plus the unit holders own a 223 ha title of land which was independently valued at $540k in 2008. The forest has 202.7 hectares ETS registered as post 1989 forestlands.